A theme, and critique: Peterson "delivers stern fatherly lectures to young men on how to be honorable, upright, and self-disciplined—how to grow up and take responsibility for their own lives," writes David Brooks in the New York Times. The message has found an audience, though Brooks says it "sounds to me like vague exhortatory banality." 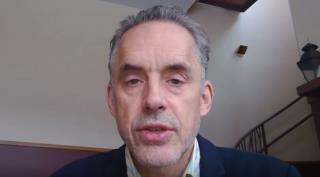 Peterson's "recipe for self-improvement is solitary, nonrelational, unemotional," and Brooks thinks "the lives of young men can be improved more through loving attachment than through Peterson's joyless and graceless calls to self-sacrifice." The interview: Virtually every story about Peterson refers to this interview of him by Cathy Newman of Channel 4 News in Britain earlier this year. In it, he defends his view that men need to "grow the hell up," and the gist of much commentary is that Peterson came up against a hostile interviewer and won convincingly. At the Atlantic, Conor Friedersdorf has a detailed critique, faulting Newman for trying to "put words into the academic's mouth." You know ...F integrity. I am going to use my credentials to rip off stupid conservatives too. All you have to do is write a sciency looking diatribe about how right wingers are always right and left wingers are always wrong. It's not that hard and rewards from the rubes is huge. You may think that field is a trifle overcrowded but cons will sell the wheels off their houses to garner some academic validation for their F-ed up views. I will give half away to Planned Parenthood. It will be funny. I'm not a young man, and I love the guy. In fact, I'm barely younger than he is. Wisdom is often missed by many people because it comes at them in oblique and subtle angles. Much of the wisdom in what Dr. Peterson says is like this. There's also the fact that much of what he says is grounded in old fashioned common sense,which makes it very easy for many people to dismiss him out of hand. His musings on socialism, communism, post modernism, and Nazis, is spot on. The people I've seen criticize him on those topics seem to lack a very basic understanding of those topics, yet they criticize him endlessly. I've seen first hand how communism rips the life and soul out of people. It's very ugly, destructive, and deeply evil, in a world which seems to insist that evil doesn't exist. This guy thinks everyone is a secret Marxist. But aside from the delusional conspiracy theories, cleaning your room is good advice, I guess.